Love is in the air with a special Valentine’s event at Romford Market this February. 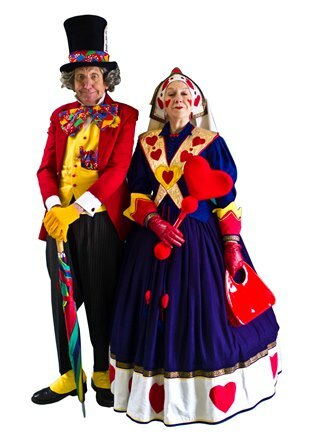 Meet the Queen of Hearts and the Mad Hatter at Romford Market on Saturday 9 February. Produced in partnership with Queen’s Theatre, the event takes place on Saturday 9 February from 11am – 3pm. There will be a variety of entertainment for young ones through to those young at heart. For “Strictly” fans, the cast of the Queen’s Theatre production ‘Kiss Me Quickstep’, a sequin-studded, warm-hearted ballroom drama, will be performing an exclusive teaser routine before giving shoppers the chance to participate in a free ballroom dancing demonstration. Havering Council want to show their love by offering free children’s activities including card-making workshops, face-painting by Aurora Face and Body Art, as well as teacup rides that families can enjoy. The Queen of Hearts and the Mad Hatter will also be joining to help celebrate the day. “Romford Market is the heart and soul of Romford Town Centre, so what better time to celebrate this than around Valentine’s Day.